"Outstanding professional garage. They do quality work at a reasonable a price and are completely honest, in my experience. " Very friendly, knowledgeable on all things car! Fair price as well. They did everything that I asked and informed me of a few small problems that could be taken care of down the road. Got there early, as they recommended the night before, and told me the guy who would look at it would be there shortly. He was, and he looked at car in a timely manner. Told me what was wrong and the cost. Decided to go ahead and fix. Ready at stated time, though did say my air filter was filthy and asked if I wanted to replace it. Added minimally to cost and I knew it hadn t been changed in a long time. So overall good experience. Heard some different noises when I first got it back, like a loose belt, but that did go away by next day. So fine by me. We had a very good experience with Honest-1 Auto Care. We showed up without an appointment and they worked us into the schedule and finished up that same morning. The staff provided great communication and found me a cost-effective repair. We will use them again. The only place I will take my vehicle. Honest and professional. The guys at H1 were nothing short of amazing! First visit, seems good so far. Overall staff was great but did feel a little exaggeratory. The Davie location of Honest-1 Auto Care has been serving the local community since 2014. This RepairPal Certified shop features a team of very experienced technicians with an excellent mix of ongoing training and ASE Certifications. They are equipped with the tools and diagnostic equipment necessary to perform a wide range of repairs. 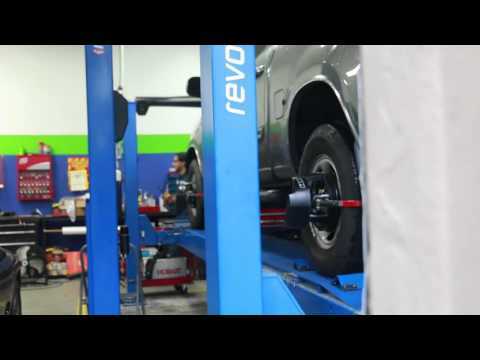 These repairs can range from minor and major mechanical repairs to tires and wheel alignment, to check engine light and computer diagnosis and repairs, as well as your scheduled maintenance needs. This work is backed by a 36-month / 36,000-mile warranty for your peace of mind. Our survey of their recent customers revealed a group who describe the team here as “professional”, “awesome”, “outstanding”, “friendly”, and “knowledgeable”. A local shuttle service, early bird drop-off, Saturday business hours, and a waiting area with wireless Internet are also available for your convenience.